The Christmas season is upon us once again! Woot! As such, ThinkSexi is doing their part in spreading Christmas cheer to everyone out there. Valid from today till the 31st of January. 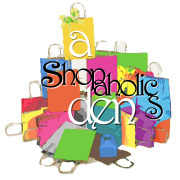 - purchase one (1) normal priced item & one (1) on-sale item and receive a further 10% discount. - free postage of your choice with every purchase of RM100 & above. - join us today & receive an added 5% discount on Super Savers OR 20% discount on other purchases. Need your purchases gift wrapped? - ThinkSexi is offering gift wrapping services, FREE of charge. Do inquire inside for more details. What are ya'll waiting for? Spoil your sisters, friends, girlfriends or even yourselves this Christmas. You know the drill, email us at thinksexi@gmail.com to make purchase or for any enquiries. & a very Happy New Year to all! **Super Savers & free postage combos are not to be applied at the same time in a single purchase. Brand New Batch of Sexi's! We're back with brand new one of a kind stuff. Only one or two pieces of each colour available this time. Originality & exclusivity guaranteed! & we'll be in touch as soon as possible. Also, don't forget to check out our Sales Site for great bargains! We've also updated our Sold Out site. Have a nice day & happy shopping sexi's! Elegant, chic & oh so fabulous. Prom dress material maybe? We guarantee all eyes will be on you in this sexi number. We've seen similar dresses retailing for RM100-RM120 in the malls. Scroll down & check out the fabulous price we're offering right here! 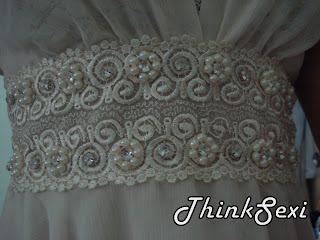 -- closeup of the beads, bling & lace details on the waist front. 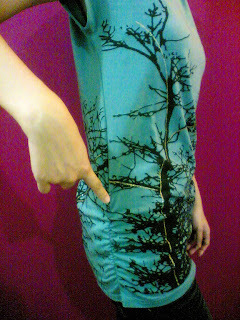 -- complete with side zip & smocked at the back for a better fit. *comes with lace tube & inner lining. *edited (28/11/08) -- We've been featured! 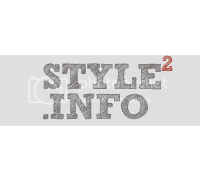 Special sexi shoutout to Style2.Info & Fashion Language for featuring Sexi Elizabeth. Do click on their link in the sidebar for more great reviews! Go green in this one of a kind top. We love the tree motif and the spattering of gold details on it give it that little extra UuMPh! Throw a pair of skinnies & pumps into the mix & you're good to go! -- closeup of gold detailing & ruching at the sides. Special sexi shoutout to Diary of an E-Shopaholic & Fashion Language for featuring Sexi Kayla. *edited (3/12/08) -- We've been featured! Special sexi shoutout to Passion 4 Fashion & Pretty & Under 40 for featuring Sexi Kayla. Do click on their link (here & in the sidebar) for more great reviews! Our first bubble hemmed dress. Its all about pleats, pleats, pleats with this sexi. Pair with 'em stilettos and a stylish clutch & your ready for all those Christmas parties! 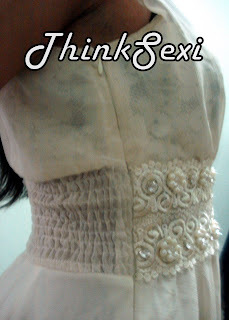 -- closeup of the neckline. *belt & accessories not included with purchase. Special sexi shoutout to Passion 4 Fashion for featuring Sexi Veronica. Do click on their link for more great reviews! We've seen sailor-inspired bows & also some satin bows. 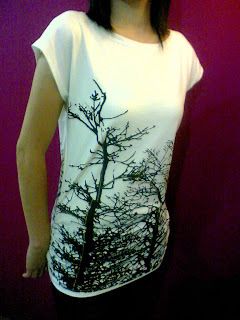 But now we have for you, ladies, your basic cotton top with a twist. Casual, simple & at an affordable price too! Get this look; by Nanette Lepore. Fits sizes (XS) to (M) best. 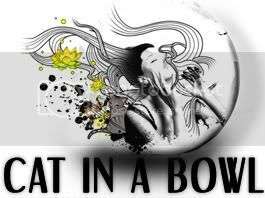 *can be tied into a bow or just a simple knot. 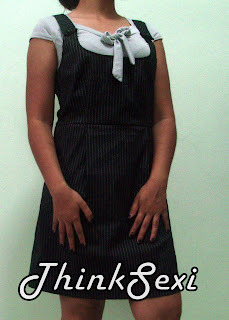 *goes well with vests, skinnies & also those cute pinafore dresses like in the pictures. More updates on our Sales Site! Do check it out for crazy bargains! Last pieces in Green, White & Pink! 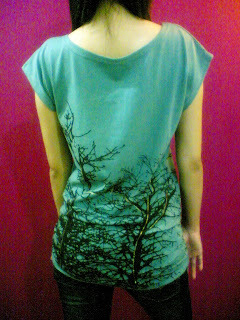 Last piece in size M! Last piece in Metallic Silver! Now that all the items have been transferred to the Sales Site, get ready for some brand new stuff coming your way very very soon! Year-end Clearance Sale still on! Check out our brand new SALES SITE! We have a site just for our Sold Out items as well. 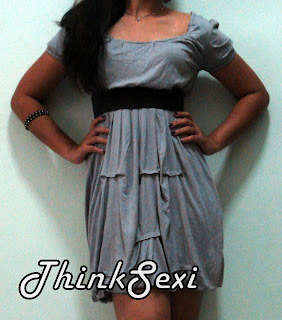 ThinkSexi will be transferring the items on-sale to the new sales site. We've also got a link on the sidebar for easy access to both the newly added sites. More items to be transferred tomorrow! We've gone missing for some time now, but not to worry as we're coming back soon with more great clothes just for you! Also, we're launching a Year-End Clearance Sale! Isn't that the best news? All items have to go to make way for brand spanking new stuff! Clothes prices have been slashed by up to RM7 while bags prices have been cut by up to RM10! New price for the items are those marked in RED. contact us at thinksexi@gmail.com for any enquiries & to order. *Returning buyers get a further 10% off their purchases! Have a great day ladies, & happy shopping! 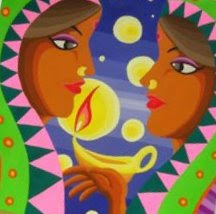 ThinkSexi would like to wish everyone a wonderful & colourful Happy Deepavali! Enjoy the sights, sounds & food (XD) during this festival of light. 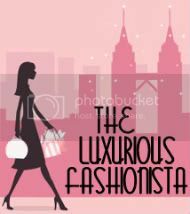 Hello all you sexi shopaholics & fashionistas! ThinkSexi is my contribution to this Beautiful Era. Spreading the sexi spirit to everyone through gorgeous goodies that are fashionable yet affordable. Think Sexi, Feel Sexi, Live Sexi..
We only sell Brand New goodies at affordable prices. 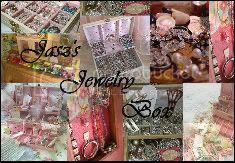 All items are in good condition. Models in the pictures are size UK8-10. *Year-end Clearance Sale! Prices have been slashed, do scroll through & email us to make a purchase. Returning buyers get an extra 10% off! *Returning buyers will be entitled to 10% discount on their next purchase. *Purchases worth RM100 & above will receive free postage of your choice. *Check out our brand new Sales Site for crazy bargains. *COD services are available again, around Subang SS15 area but at the owner's convenience. (a) Serious buyers ONLY. First come first serve basis. Goods sold NOT refundable. NO BACKOUTS ONCE CONFIRMED. (ii) Pls follow our step-by-step guide below when placing orders. (3) Items can be reserved up to ONLY 3 days. (d) Payment via bank transfer/deposit to our Maybank account must be made 2-3 days after confirmation to avoid cancellation. (5) Goods will be mailed every Tuesday & Thursday of the week provided payment has been made, with exception of public holidays. (vi) Buyers are to bear all postage costs, prices quoted are NOT inclusive of postage and shipping charges unless stated. *Additional charges will be required for additional weight. (g) COD can be arranged, preferably around Subang SS15 area. For more details on this, kindly drop me an email. (8) Lastly, we will not be responsible for any goods lost/damaged during shipping. Buying is at your own risk. Purchasing goodies made easy, just follow this step by step guide. (ii) Look through our collection. (iii) Note down the Code/Name of Item you're interested in. Subject of the email is the item you would like to purchase. Example: "Subject: Sexi Monique"
(5) Wait for our reply via email or text message. **If you do send us an email and don't get a reply from us for an insanely long time, please get word to us via either our chatbox or by leaving a comment.